Reports include standard deviation, coefficient of variation of diameter, curvature, average diameter, spinning fineness, fibre length and comfort factor. 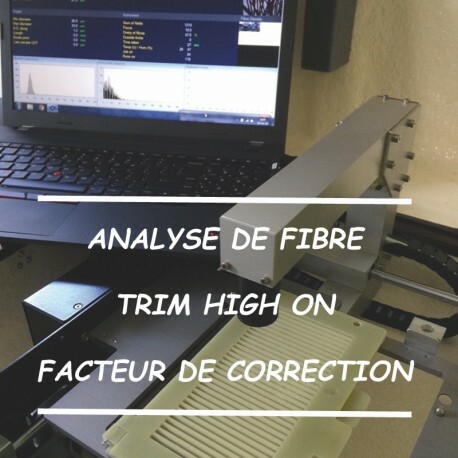 Also in the report : histograms and "along fibre" micron profile graphs and summaries. Fibre Test report will be available as PDF file in your customer account all the time. WHY ANALYSE YOUR FIBRE ? The fiber analysis is an essential tool for you to monitor your breeding program. 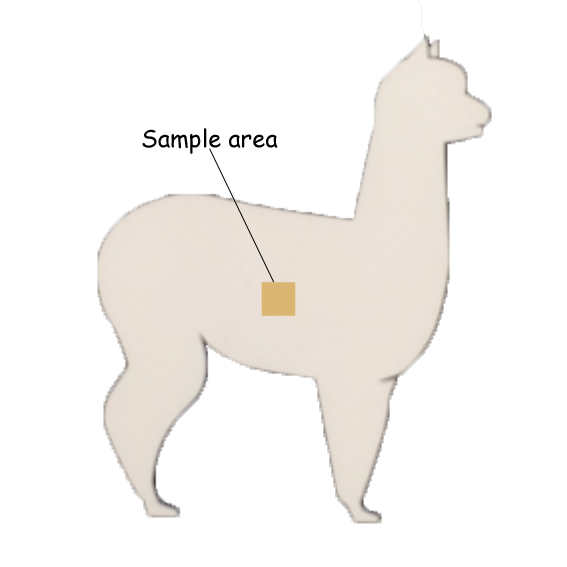 It is an objective tool to monitor changes in the individual characteristics of your animal. It is useful to recall that the tests are appropriate for your livestock. When should I take the sample ? But, you can take the sample before shearing. In this case, you are sure to take the sample in the right place and it lets you know your results before shearing, so you sort fleeces according to their fineness. How much is needed for analysis ? A width of 3 cm of fibre is enough. It may be interesting to take two samples. By this way, in case of problems or if you want to retest a fleece, you have a backup. Where should I take my sample of fibre ? Be sure to collect the sample close to the skin. Place it in a paper bag. WARNING : Samples must be dry. Moisture can cause significant results.